Whenever I choose to wear something it is always based on how I feel. So, this time I was feeling dark and boxy. Here’s what I came up with. 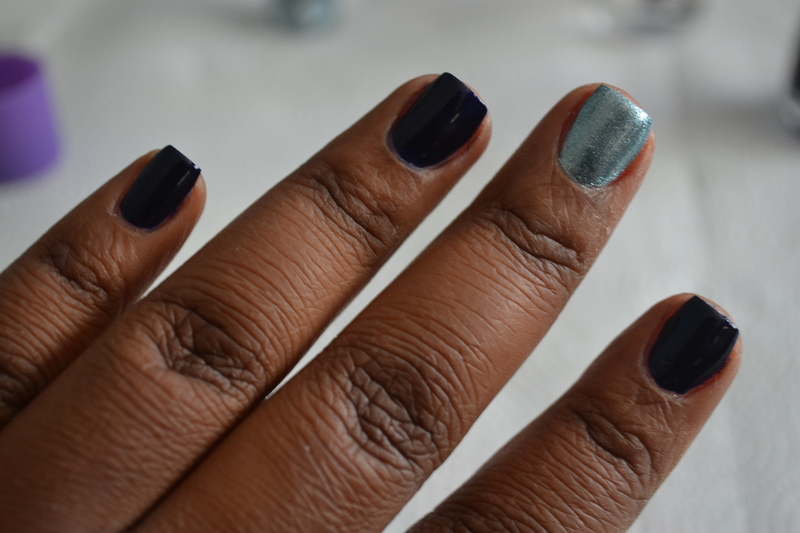 Step 1: After base coat, coat your nails in deep blue until opaque. 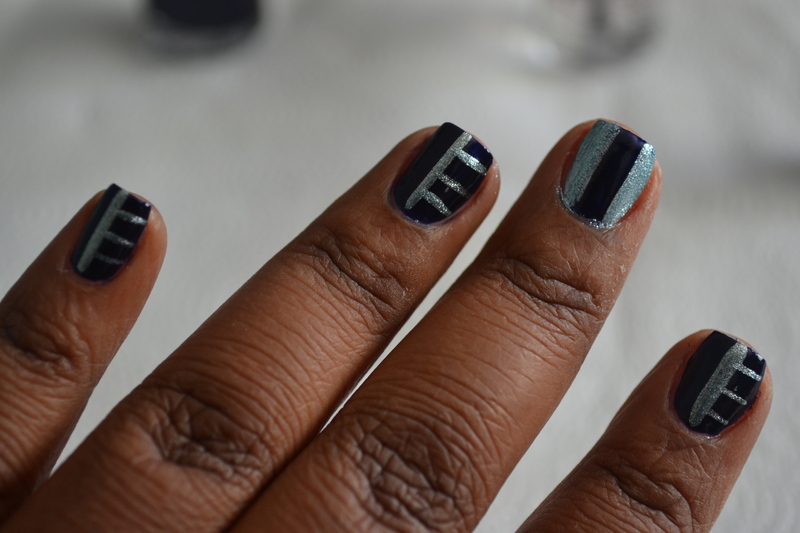 For an accent nail, use a metallic blue striper to coat that nail. 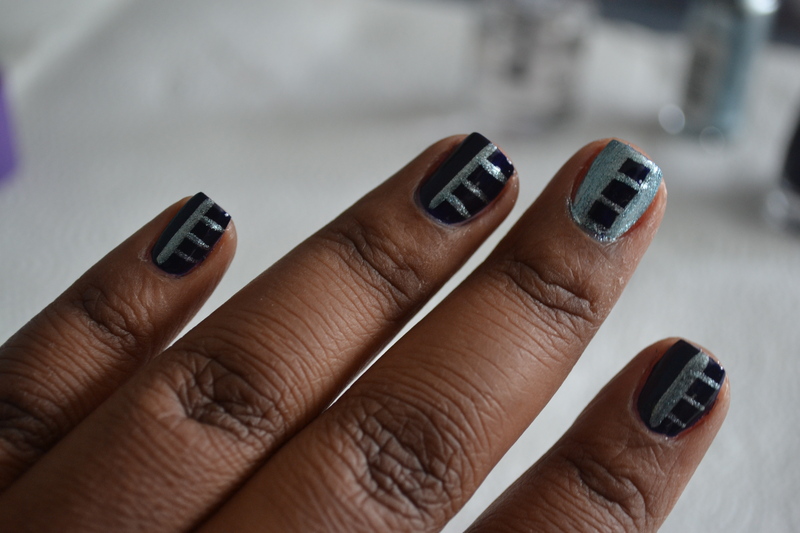 Step 2: With the striper, draw a vertical line down the middle of all the dark blue nails. 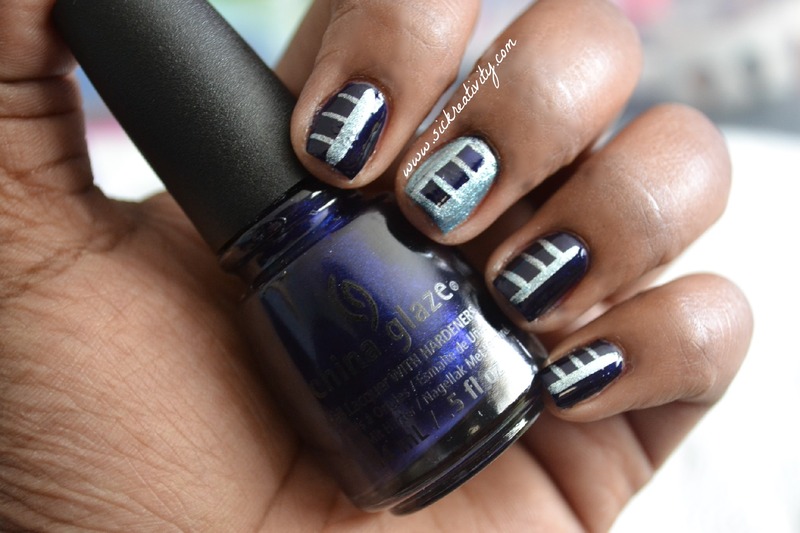 Using the dark blue polish brush do the same on the metallic nail. You can use the striper to clean up the dark blue stripe if needed. 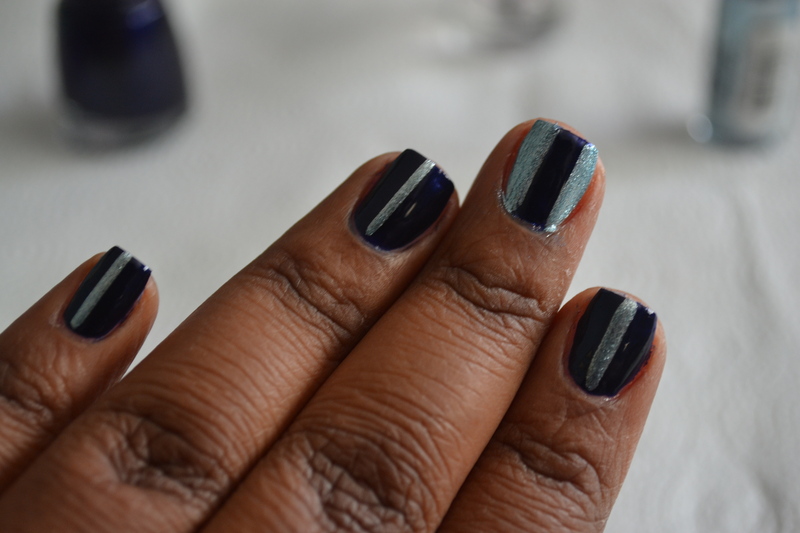 Step 3: On one side of the vertical line on the dark blue nails, using the striper again, draw three horizontal lines. Step 4: On your accent nail using the striper, draw horizontal lines on the tip of your nail, two crossing over the blue stripe and one near your cuticle. Step 5: Put your top coat on and you’re finished.